The body discovered in a north McAllen canal Friday was that of a San Juan man who had been missing for two weeks, the sheriff confirmed Saturday. Mario De Jesus Adame, 34, was found floating in a canal south of 6 Mile Line on Ware Road, Hidalgo County Sheriff J.E. “Eddie” Guerra wrote on Twitter on Friday afternoon. The sheriff’s office is awaiting an autopsy to determine the cause of death, but investigators suspect foul play, according to Saturday’s Twitter post. Adame’s remains were found in a red duffel bag and Guerra told The Monitor he expected the autopsy to be conducted Monday. Adame was reported missing to the San Juan Police Department on Jan. 7, according to a Twitter post from San Juan Police Chief Juan Gonzalez. At the time of his disappearance, Adame was enroute to sell a car in Mission. 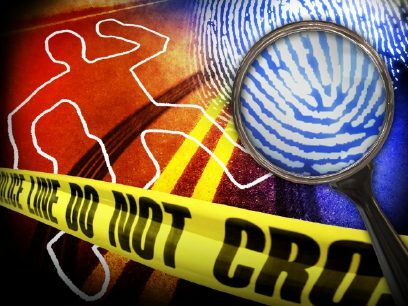 The Hidalgo County Sheriff’s Office is handling the case and investigators are working with San Juan police and interviewing Adame’s family members, Guerra said. investigators are also working to locate the car Adame was driving, which is a 2016 gray Nissan Altima with paper license plates numbered: 21645D2. Anyone with information is asked to call the sheriff’s office at (956) 383-8114.